A Shepherd's Heart: He Left The 99 for You. 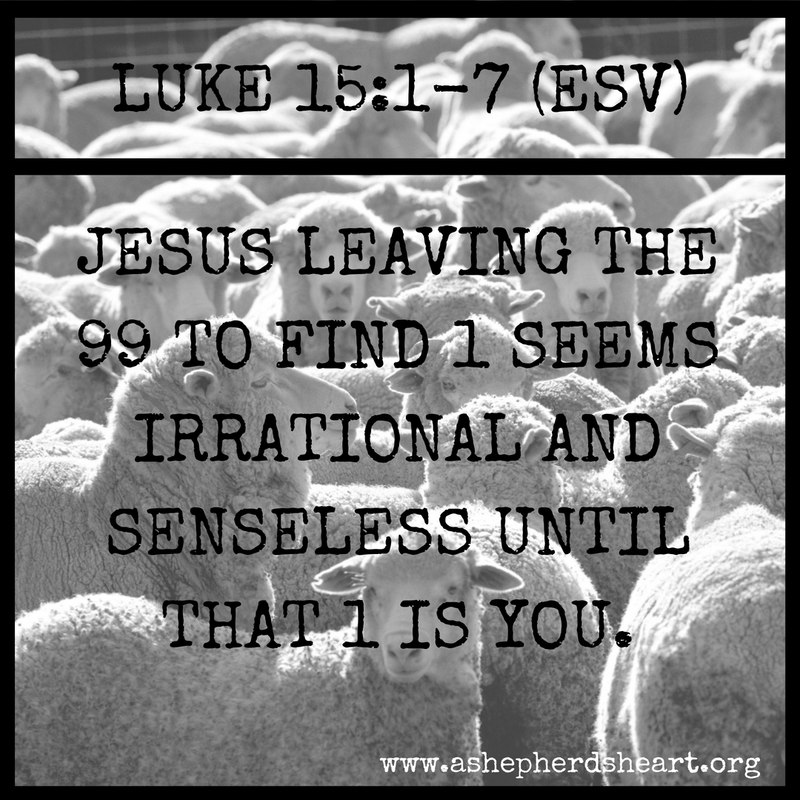 The love and sacrifice of Jesus may seem irrational and senseless to some but it doesn't really matter what anyone thinks because He came to seek and save the lost. His love and sacrifice for you is perfect, overwhelming, and complete...He left heaven and came to find and save you! If you've received His search and rescue mission, (His free gift of salvation) then rejoice in your loving Good Shepherd Who has brought you into His flock! Keep listening to and for the Good Shepherd's voice! If you haven't received His search and rescue mission, (His free gift of salvation) then listen and respond to The Good Shepherd's voice as He is calling for you drawing you to Himself. He gave His life for you! All you have to do is receive His free gift of salvation! No matter what, during the good and the bad seasons of life, never doubt or question His great love and sacrifice for you. Always remember God's great love for you as He sent is His so that you may have forgiveness and new life in Him! 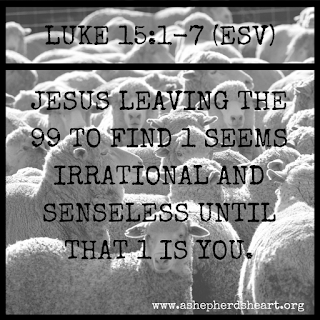 Praise God with me for The Shepherd Who would leave the 99 for you and I!